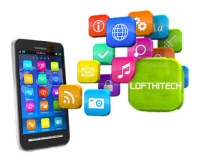 This is in progress: the lofthitech smartphone application is in development. You can choose your personalized models and have a very quick view of your future layout (indoor / outdoor / field / location). With quotes and planes sent by mail by 30 seconds and other related services.